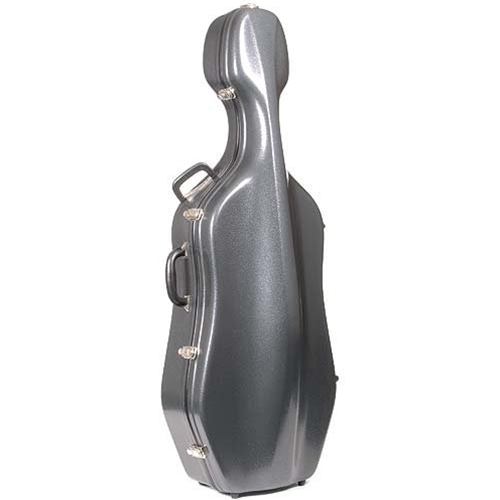 The Eastman CL28 Z-Tek Deluxe 4/4 Cello Case with Black Exterior & Wine Interior features wheels for easy mobility and a solid layer of suspension padding including a rim of extra filling around the cello bouts and at the scroll. The highly protective fiberglass uses the Z-Tek injected mold process and is finished in high gloss. Other features include a well-designed neck block and scroll harness. The case sports a heavy-weather gasket, rubber valance, and keyed locks. This beautiful case is built to last for years! The J. W. Eastman Instrument Case Company has become a leader in the manufacture of high-quality fiberglass and carbon fiber hybrid instrument cases. Eastman cases equals quality!